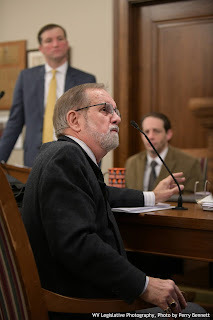 Delegate Larry D. Kump has introduced HB 4007, Sewage & Water Property Rights (Political Subdivisions Committee), to prohibit public utility districts from forcing those living in owner-occupied residences to participate in a water or sewer system, except when those private systems are proved unsafe or a public safety hazard. At 5:30 PM, Thursday, February 6th, 2014, a rescheduled public hearing on this issue will be held in the Chamber of the West Virginia House of Delegates (1900 Kanawha Blvd East, Charleston, WV 25305). Citizen public testimony is invited. "I am hearing from homeowners across West Virginia about being forced to hook up to public sewer systems," said Kump. "This is a violation of our personal property rights, not to mention the fact that, in this economy, it can bankrupt those forced to do so. This is especially true for those on fixed incomes, as well as so many others who are having such a hard time providing for their families." With price tags in the multiple thousands of dollars, these mandatory "hook up" orders even has caused some homeowners to take out a second mortgage on their homes. "Life, liberty and property are three basic principles that our founding fathers held most sacred. It is the duty of our West Virginia elected officials to protect the property rights of our constituents", continued the Falling Waters legislator. "These intrusions into our very homes violate our most basic rights, which are enshrined in both our Federal and State Constitutions. I call upon other elected officials and citizens to join with me in this fight to protect the property rights of West Virginia home owners." Participating in the January 27th Monday morning meeting of West Virginia Eastern Panhandle legislators were Delegates Larry D. Kump, Paul Espinosa, Eric Householder, Larry Faircloth, Ruth Rowan, John Overington, and Daryl Cowles plus Senators Craig Blair and Don Cookman. Morgan County Commissioner Stacy Dugan also was in attendance. Delegate Kump further discussed HB 4007, his proposal to protect the property rights of those Mountaineers who have residential septic systems and wells. It still is waiting for a hearing before the Political Subdivisions Committee. He also discussed his proposal, HJR 101 (Judiciary Committee), to allow the Legislature to increase the "Homestead Act" tax exemptions for senior citizens as well as his concerns regarding those who want the Legislature to increase the salaries of county elected officials by 12%. As an alternative, he has proposed HJR 102 (Judiciary Committee), which instead would allow local county commissions or councils to determine the salaries of local elected officials, BUT ONLY if their proposed changes in local elected officials' salaries are approved by the county voters in the next General election. Delegate Faircloth discussed his HB 4295 (Judiciary Committee), which would require uniform enforcement standards on environmental issues and HB 4334 (Small Business & Economic Development Committee), which would give small businesses tax credits for hiring additional employees. Senator Cookman discussed his concerns about the funding requirements for local counties to finance regional jails. Senator Blair spoke about efforts to eliminate "zone pricing" and other factors which contribute to high retail gasoline prices in West Virginia. 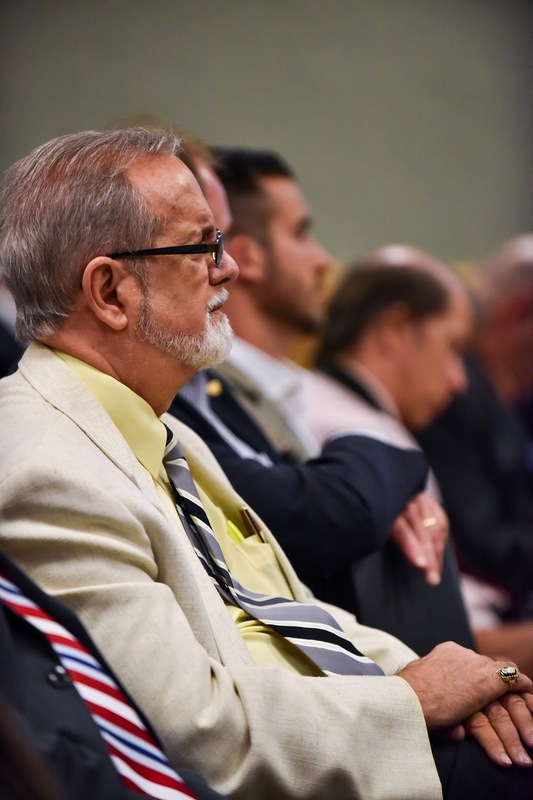 He and Senator Cookman also are sponsoring legislation, SB 382 (Military Committee), which would exempt veterans and fraternal organizatins from non-smoking regulations. Delegate Householder spoke about his pending legislation to nullify the "Affordable Care Act". A bill number and committee assignment still are pending on this legislation. Delegate Rowan gave an update on efforts to help the School for the Deaf and the School for the Blind in Romney, West Virginia. Delegate Overington reported that his HB 2477, to allow auxiliary safety lighting on motorcycles, has passed the House of Delegates and is pending further consideration by the Senate. Delegate Cowles reviewed the Supplemental Budget Appropriation, which would provide funding for medical services and help volunteer firefighters. Morgan County Commissioner Dugan expressed concern about the need to approve funding for Cacapon State Park improvements. CHARLESTON - Property rights of water and sewer systems have caused controversy for West Virginians. Delegate Larry D. Kump, R-Berkeley, has introduced a bill to prohibit any municipal or state public service district from forcing those in owner-occupied private residences to participate in a water or sewer system, except when private systems are proven unsafe or a public safety hazard. "Berkeley County has this problem, but it's a statewide issue," Kump said. "The feedback I'm getting from people in my district and across the state is that they think that their septic systems are performing, by and large, on a higher level of efficiency than the public sewer systems." When the public sewer district expands into a jurisdiction, the residential homeowners are not given a choice as to whether they want to hook up to the public sewer district, Kump said. "This is not legislation on the whole issue of eminent domain," Folk said. "This legislation is just on the issues of these mandatory sewer hook-ups." Under the law, if the bill becomes a law, it would not apply to residents who are currently connected to the system, Kump said. He said residents that have been exempted, but their septic systems become unsafe or stops functions, would not be exempt anymore. In Berkeley County, if expansion occurs, residents maintain upkeep on what they own unless water or sewer was newly brought to the area. If a resident is within 300 feet, they have to hook on, residents are required to connect if it is not cost prohibitive, said Jennifer Hutson, sanitarian supervisor at the Berkeley County Health Department. Kump said residents are concerned about the hook-up fees, which may costs thousands of dollars, followed by monthly fees. "If they have a perfectly functioning and safe septic system, they don't feel like they should be coerced to hook up to a public system and pay a lot of money out of their almost empty pockets," Kump said. "A lot of people live from paycheck to paycheck. They just are terrified that they're going to be forced into these sewer hookups. They don't know where the money is going to come from." Residents have taken out second mortgages or abandoned working, safe systems that they purchased during the public hookup transition, Kump said. He said there have been complaints that developers of small townhouses who do not have enough property to sustain a sewer system push for the public sewer system. Kump said he decided to draft the bill when the sewer issue caught his attention, but the legislation affects homeowners and renters also with wells. "The recent water crisis we've had-and are still struggling through the dregs of in the state capitol area- wouldn't have affected people that have private wells," Kump said. "That's not an indictment of the public water system, if people would have been on private wells." The Berkeley County Public Service Water District does not force anyone to make a water connection, said Paul Fisher, executive director of the public service district. "We can run a water line in the front of your house, and if you have a well, you just can use your well," said. "There's nothing in place that forces that issue. It's strictly voluntary." Kump said some residents who have been required to hook up have taken legal action, such as one man who claims his property was damaged during the construction process and regulations were disregarded. He said some argue that participating in the public system makes it more cost efficient for those who hook up. "Of all the responses I've gotten-and I've more than I can count-I did receive (responses) from two attorneys that were taking the other side that said that this would create a hardship if people were allowed to opt out." Kump said there has been controversy regarding the efficiency and cleanliness of the public system in the past few years and strain on public sewage districts. "Our public sewage districts are under tremendous pressure from the federal government-the Environmental Protection Agency-to upgrade what they are already doing," Kump said. "They are in a pinch financially. It's a mess." Kump said he suggested West Virginia take a cue from the Washington Suburban Sanitary District, which serves Prince Georges and Montgomery counties in Maryland and does not require hookups to water or septic systems. The WSSD held a public meeting before recently running a water line down a street in a residential area, said Jerry Irvine, public affairs manager for the WSSD. "People were upset, but the short answer was, 'No,'" Irvine said. "Half of the people wanted to tie in, and the half wasn't required to. ... They make the judgment on whether it's a better value for them." The WSSD, which has 1.8 million customers, has more than 11,000 miles of water and sewer pipes, Irvine said. He said the mandates depend on the area of each county. "It's really about what residents in that area and/or legislatures do or do not want," Irvine said. "Folks who run septic and sewer (systems) feel like that's their system. They want to maintain it, and they don't want to tie it into a larger system. They have those rights. They pay their own maintenance fees." Kump and Delegate Tiffany Lawrence, D-Jefferson, scheduled a public hearing for Jan. 21 in Charleston before the bill goes before the Political Subdivision Committee, chaired by Lawrence, Kump said. The public hearing was postponed due to the illness of Delegate Lawrence, Kump said. A new date has not been scheduled. "This is a basic issue of citizens' property rights," Kump said. "If you live in a home, and what you're doing-whether it's with your septic system or anything else-and it's not a danger to your neighbors or yourself, then I don't think the government should have the prerogative to tell you to do otherwise, and in doing that, cause you to spend thousands and thousands of dollars that is hard to come by in these times." Kump said if he has to move forward, he will make adjustments to the bill, which is pending. Visit www.LarryKump.com for my other legislative news and views. CHARLES TOWN - Elected officials in West Virginia may see a salary increase, but due to budget concerns, the raise will not likely happen this year. According to Vivian Parsons, executive director of the County Commissioners' Association of West Virginia, it has been eight years since elected officials in the Eastern Panhandle got a raise. "In October, the county commissioners' association board of directors met, and we brought the issue (of a possible pay raise) to our membership," Parsons said. "Seventy percent of our members opposed the raise happening in 2014. We feel they work hard and deserve a raise, but the consensus was that this just isn't the right time." Parsons said the salary of elected officials is set by the state legislature. Jefferson County commissioners and Berkeley County council members currently receive an annual salary of $36,900. Parsons cites economic issues, local as well as state, as the reason the potential raise has been put on hold. "We've received warnings from state leaders about the economy," Parsons said. "Some counties also have concerns with their own budgets." Jefferson County commissioners have found themselves in a tight financial spot, and faced a $3.9 million deficit in December, but Jefferson County commissioner Dale Manuel remains in favor of a raise. Manuel said in December that he believes the responsibilities that come with being a county commissioner are increasing, and the commissioners' pay should reflect the hours they put into their work. "It's more and more work," he said during a legislative summit. "I know it is in Jefferson County, and I know it is in Berkeley County, too. You're constantly going to meetings, you're constantly working on the budget and so forth." 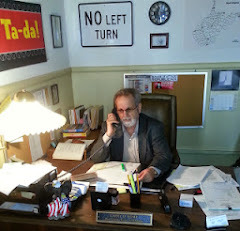 Delegate Larry D. Kump, R-Berkeley, is working on legislation that may give elected officials in the state a raise. Kump said there is a proposal to increase elected officials' salaries by 12 percent, an idea he disagrees with because, he said, elected officials knew what their salary would be when they got into office. Rather than a set increase, Kump is proposing a voter referendum in which county commissions would set a desired amount and county residents could vote on the salary increase proposed by their commission. "I think these types of determinations ought to be local, based on voter input," Kump said. "This way, authority can be given back to local counties." Manuel said he still supports the proposed legislation but understands that Jefferson County is not ready for pay raises since it is in the midst of financial problems. "I support the (12 percent salary increase) legislation being there, which would increase the salary of county commissioners to $42,000 if it's passed," Manuel said recently. "Just because the legislation is there, it doesn't mean we can do it. We definitely can't do it now because of our budgeting issues, and maybe not even next fiscal year. The problem is the economic growth money just isn't there and we still need $1.2 million." Footnote: In response to the attempt to have the West Virginia State Legislature increase the salaries of county elected officials by 12%, Delegate Kump proposed (HJR 102) that the salaries of county elected officials instead be determined by the county commissions or council BUT that those salary determinations be conditional on a referendum approval of local county voters in the following General election. Delegate Kump reported that he has introduced a number of legislative proposals. The Falling Waters Delegate made specific mention of HB 4007 (Political Subdivisions Committee), which would protect the property rights of residential homeowners from being forced to give up their working wells and septic systems, to involuntarily be a part of public sewer and water systems. (Note: A public hearing on HB 4007 was scheduled for 4:00 PM, Tuesday, January 21st, in the House of Delegates Chamber, but has been postponed, due to the sudden and ongoing illness of the Political Subdivisions Commitee Chairperson Tiffany Lawrence. A new hearing date will be shared as soon as it is determined.) He also discussed his proposal to exempt those receiving social security benefits from West Virginia state taxes. 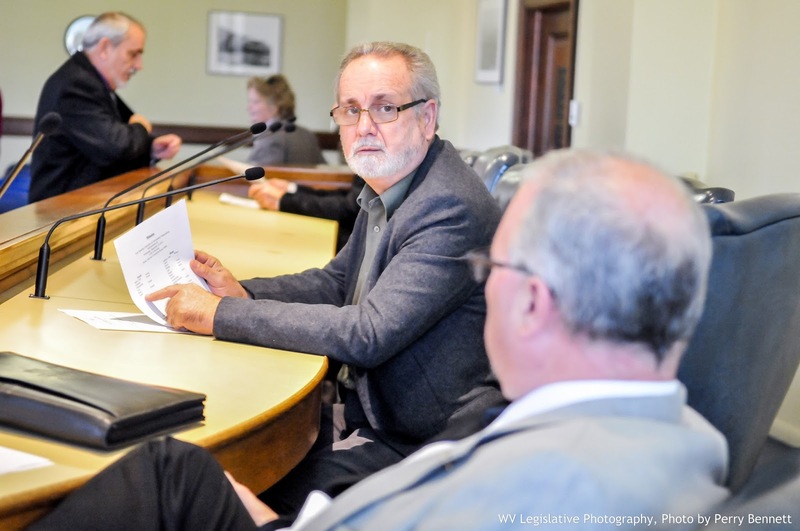 Delegate Folk explained HB 4216 (Judiciary Committee), which would extend the protections of the recreational use act to aviators who use private airstrips and farms. Delegate Faircloth discussed HB 4145 (Natural Resources & Agriculture Committee); which also is cosponsored by Delegates Kump, Householder & Rowan. It would extend the privilege of cross bow hunting licenses to all West Virgina residents. He also is working on a legislative proposal to require the West Virginia Department of Environment Protection to use the same enforcement standards on all businesses and not play favorites. Delegate Cowles spoke about the funding needs for the West Virginia Schools for the Deaf and the Blind in Romney, West Virginia. He went on to also discuss the need to fix the "glitches" in the bonding proposal that would fund improvements at Cacapon State Park. Delegate Overington reported on HB 2477, which would allow motorcyclists to use amber and white safety lights. He said he expected it to quickly pass the House of Delegates. Delegate Espinosa discussed HB 4219 (Government Organization Committee), which would require an audit of the West Virginia Division of Highways. Delegate Rowan reported on HB 4137 (Education Committee), which would equalize the funding allocation reimbursement for special needs students who attend local schools. Senator Blair discussed his cosponsorship of SB 368 (Judiciary Committee), which would eliminate the guarantee of minimum prices for companies on the sale of gasoline. Delegate Kump encouraged all Eastern Panhandle legislators to support this proposal. Once again the vast forces arrayed against the average Joe are mobilizing to redistribute wealth. As usual, it is ours and not theirs. So it is with mandatory water/sewer hook-ups. The systems are build with our tax dollars and usually fraught with issues. Berkeley County has had ongoing problems with their waste water treatment. Nearby Washington County, Maryland has had problems with flooding and overflow issues during the last two decades for their $50+ million sewer treatment plant. These things are not as fool proof as the public has been lead to believe. The taxpayer is merely told, "Just a few more million and we can fix it." It never gets fixed and more tax dollars disappear into the bank accounts of the crony capitalist political donor buddies. Moving to the mandated hook-ups, another bill for thousands appears for the taxpayer. The grand poobahs that mastermind these rip-offs offer no deals. In case no one has noticed economic times are not good. Just because somebody says it is good does not mean it is good. There is another issue just below the surface-control. If you have your own well and septic, you have some degree of independence from public system failure or shut-off. The control comes to play when the powers that be decide you are annoying to them; your water and sewer is shut off. Also, it can be metered and you can be taxed on use. Soon West Virginia's motto will change to, "Mountaineers always pay fees"
Generally, up-keep on private systems are not as inflated as public systems. The providers have to be competitive (free enterprise) as opposed to crony capitalist guv'mint contractor types. Private homeowners usually are more aware of system maintenance, since big breakdowns cost money. Just look at the near constant water main breaks in the DC area. Also, the public should be informed that the water is some public systems is recycled effluence. Wait til your undissolved toilet paper is floating in your glass of tap water due to a personnel or system malfunction. Don't forget that centralized water makes it easier for terrorists to ply their craft. Not to mention other noxious substances that seem to find their way into public water systems such as the recent water problem around Charleston. Thanks but no thanks, we are nearly broke now. PS: Larry feel free to use this, or any part of, at the hearing. At my request, the West Virginia House of Delegates has scheduled a public hearing on HB 4007, my proposal to protect the rights of home owners' property rights. This hearing will be held at 4:00 PM, Tuesday, January 21st, 2014 in the Chamber of the West Virginia House of Delegates at the State Capitol (1900 Kanawha Blvd East, Charleston, West Virginia 25305). This is not a legislative committee hearing, nor will a vote be conducted at this public hearing. This is an opportunity for any citizen to show up and express his or her concerns about whether or not we should be forced to abandon the use of our residential septic systems and pay to participate in public sewers. to participate in a water or sewer system, except when those private systems are proved unsafe or a public safety hazard. "With price tags in the multiple thousands of dollars, these mandatory "hook up" orders even has caused some homeowners to take out a second mortgage on their home." "These intrusions into our very homes violate our most basic rights, which are enshrined in both our Federal and State Constitutions. I call upon other elected officials and citizens to join with me in this fight to protect the property rights of West Virginia home owners." "I am hearing from homeowners across West Virginia about being forced to hook up to public sewer systems," said Kump. "This is a violation of our personal property rights, not to mention the fact that, in this economy, it can bankrupt those forced to do so. This is especially true for those on fixed incomes, as well as so many others who are having such a hard time providing for their families." With price tags in the multiple thousands of dollars, these mandatory "hook up" orders even has caused some homeowners to take out a second mortgage on their home. HB 4133 (Finance Committee) Exempts social security benefits from West Virginia state taxes. HB 4136 (Education Committtee) Provides a yearly $500 state tax credit to families whose children are enrolled in non-public schools or who are home-schooled. With the onset of the West Virginia State Capitol area water woes from the public water contamination last Thursday, the West Virginia State Legislature recessed last Friday, without doing any business and voting to resume business today (Monday) at 1:00 PM. Then, late on Saturday, I received word from the Speaker of the House of Delegates, informing me that, due to the continuation of the pubic water woes in the State Capitol area, the plans were to, after convening the Legislature on Monday (today), to again not conduct any business and then recess again until the following Monday (next week). Those plans now again have been changed. The current situation is that the Legislature will convene at 1:00 PM today (Monday) and without conducting any business, but reconvene at 6:00 PM on Tuesday evening (tomorrow), with the expectation and hope that all legislative business will be back on track thereafter. Legislative proposals (bills) now have begun to be introduced in the 2014 West Virginia Legislature. This will continue until February 17th. However, Mountaineers lost much of their voice on Thursday, January 9th, when the leadership of the House of Delegates pushed through a parliamentary rule change (House Resolution #2, Roll Call #3). This change makes it much more difficult for Delegates to act on behalf of their constituents and on issues of conscience. In essence, it gives a small, internal "Rules Committee" power to block the consideration of legislation from a vote on the floor of the House of Delegates. The vote was 53 yeas to 45 nays in favor of this change. Among the Eastern Panhandle delegation, Delegates Skinner, Barrett, and Lawrence voted yea. Delegates Kump, Cowles, Householder, Overington, Faircloth, Espinosa, and Folk voted nay. Many more bills will forthcoming from me, both as a sponsor and cosponsor. My legislative efforts will continue to focus on being an independent voice on behalf of the principles of individual liberty, personal accountability and personal empowerment. All bills must first be heard and voted upon in their assigned committee before receiving further consideration. Legislative committee membership and individual legislator contact information is available at www.legis.state.wv.us. 1. You do not need a parachute to skydive. You only need a parachute to skydive twice. 2. To be sure of hitting the target, shoot first and then call whatever you hit the target. 3. I'm supposed to respect my elders, but it's getting harder and harder to find one. 4. You're never too old to do something stupid. 5. Doing the same thing for a long time doesn't make you any better at it than standing in a garage for a long time makes you a car.